Give even your largest rooms a boost with the classic scent of line-dried laundry that lasts up to 96 hours per pack. 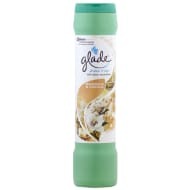 Use with the Glade Wax Melts Electric Warmer. Pack of 6 wax melts. Glade Wax Melts Electric Warmer sold separately.